While you’re having a hooga holiday, why not curl up and revisit some of my top happy acts in 2016? Enjoy the read! Toast your buns—readers warmed to this post on heated car seats. Forget the Super Bowl, Watch the Puppy Bowl. It’s official. After this year’s Grey Cup, there’s no contest. Three downs beat four downs hands down. The Super Bowl is usually a snoozefest so you might as well watch the puppy bowl. Reach out your hand in peace and friendship: I wrote this post before Trump, before Aleppo. If you are bewildered about what’s happening in the world, read this post. There you have it. 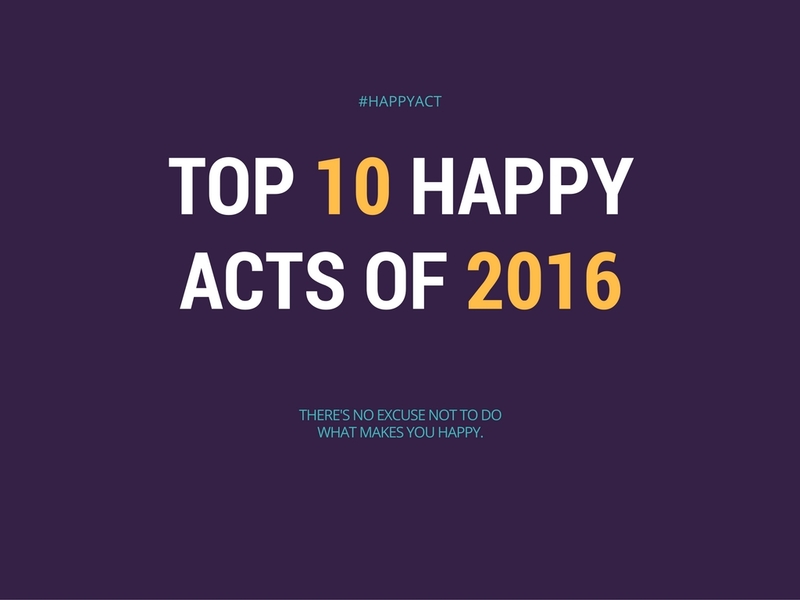 My top ten #HappyActs of 2016. Watch next week for my top predictions for 2017.